The Maxpedition Micro Pocket Organizer is the smallest organizer. It measures 3-1/2" x 5-1/2" x 1" deep. It easily fits comfortably in a pants pocket. 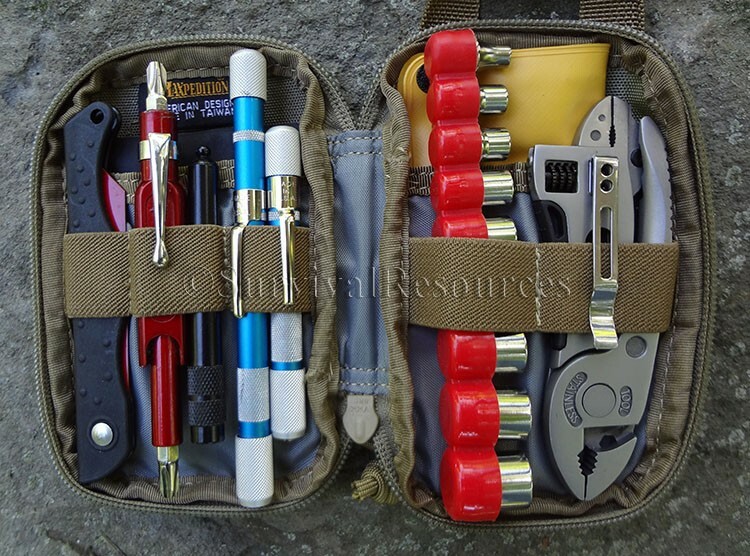 Full clamshell opening main compartment with dual zips. 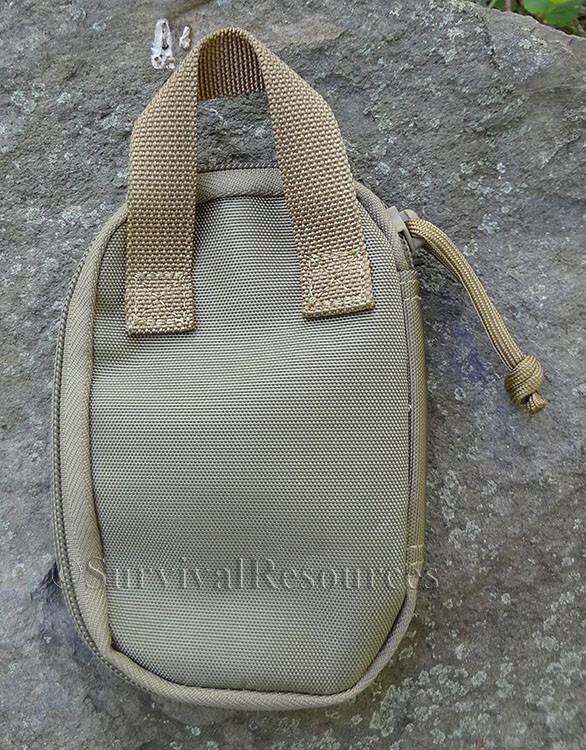 It provides an exterior front mesh slip pocket. 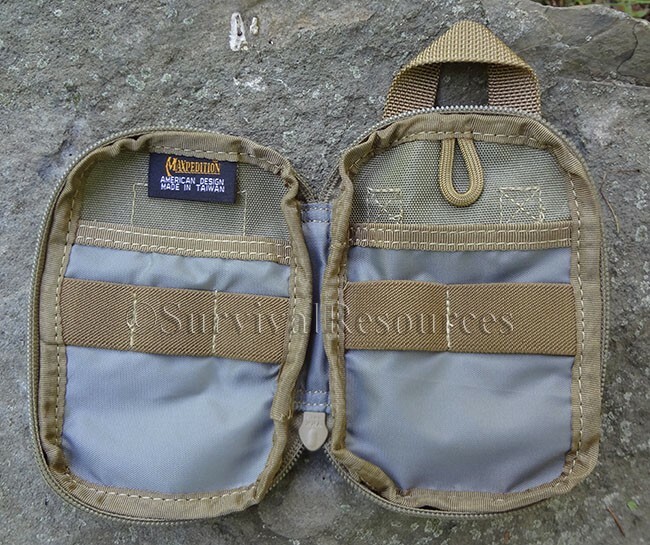 Interior left slip pocket with 1" wide elastic with three divisions of 1". Interior right slip pocket with 1" wide elastic with two divisions of 1-1/2", and a tie down loop. Exterior features a 3/4" webbing grab handle. 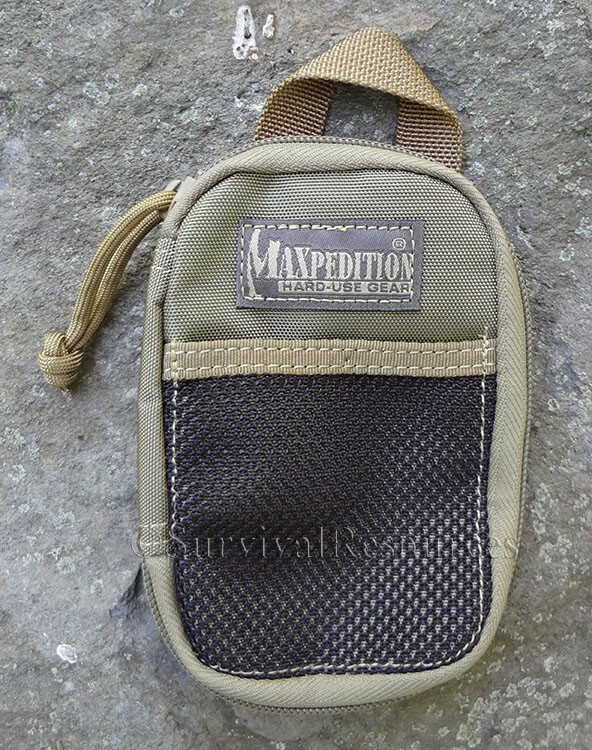 Made with 800-Denier water and abrasion resistant light-weight ballistic nylon fabric. 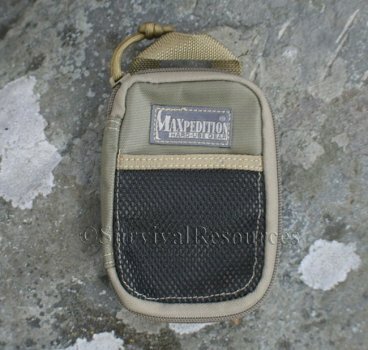 Available in Khaki & Black. 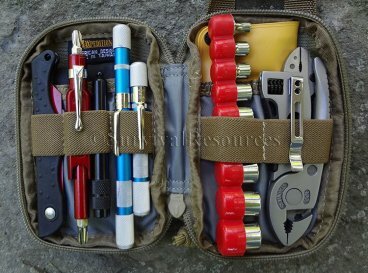 Check out our video review showing a tool kit John built into a Micro Pocket Organizer.